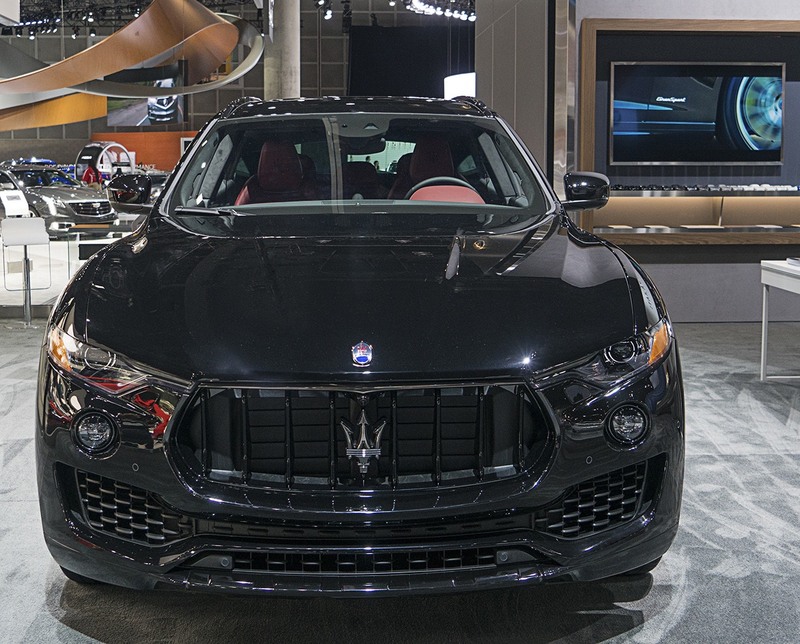 Maserati’s groundbreaking Nerissimo package will be shown for the first time on the Levante SUV, Ghibli sport executive sedan and flagship Quattroporte at the 2017 Los Angeles Auto Show. 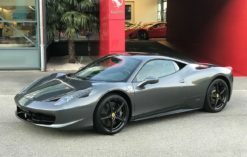 The Nerissimo “black” option, will stun West Coast audiences with its edgy and dark palette in both Sedans and SUV at the Los Angeles Convention Center from 1 to 10 December. Two additional paints, Nero Ribelle and Grigio Maratea, are offered on Ghibli and Quattroporte in combination with the Exterior Carbon Package. 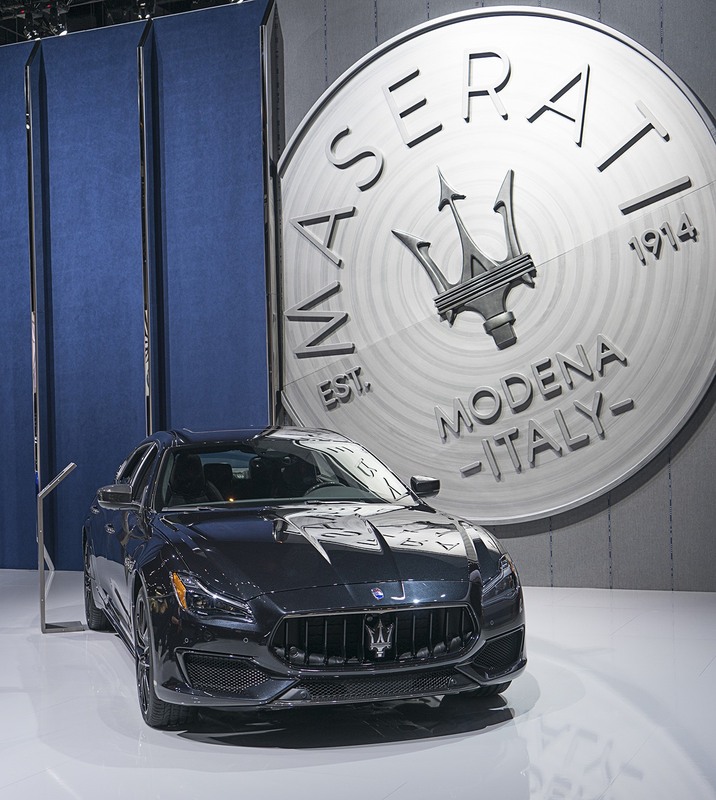 In complement to the debut of these new Nerissimo vehicles, Maserati also proudly brings their entire luxurious portfolio to the City of Angels, with the full 2018 Maserati model year line-up planned for display during the auto show. Maserati’s product range now includes everything from the Ghibli sport sedan to the flagship Quattroporte executive sedan, as well as the Levante SUV and the new GranTurismo and GranCabrio sports car. All five model have received upgrades for 2018. Significant updates to the Ghibli and Levante MY18 include the addition of GranLusso and GranSport trims, previously introduced in the Quattroporte range. With the new Maserati range strategy, customers can now choose one of two distinct trims for the Levante and the Ghibli: GranSport or GranLusso. GranSport was conceived to meet the demands of a sportier expression of the high-end lifestyle, while the sophisticated and luxurious GranLusso cabin combines a choice of Ermenegildo Zegna silk or full premium leather upholstery and includes upgrades such as wood trim and a wooden/leather steering wheel. For 2018, the Ghibli and Quattroporte now also feature Adaptive full LED headlights with glare free high-beam, based on Matrix technology for Ghibli, developed in collaboration with Magneti Marelli Automotive Lighting, and on L-shape technology for Quattroporte. Both Maserati sedans can also be fitted with power-upgraded 3.0L V6 424hp engine as well, with the new, performance-enhancing Integrated Vehicle Control system (IVC), developed by Bosch in collaboration with Maserati. For the iconic GranTurismo and GranCabrio, 2018 brings an elegant restyling for improved aerodynamic performance, and an upgraded interior with a brand new driver interface and state-of-the art infotainment system. 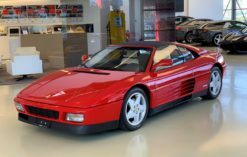 Other notable announcements for Los Angeles include, for the first time, the introduction of Electric Power Steering (EPS) by Maserati, enabling new Advanced Driving Assistance Systems (ADAS) with active functions. 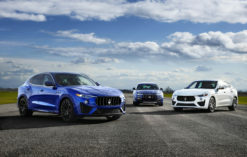 EPS has replaced hydraulic power steering on both Maserati sedans, as well as on the Levante, providing better handling and comfort, while retaining the razor-sharp steering feel that is typical to every Maserati. 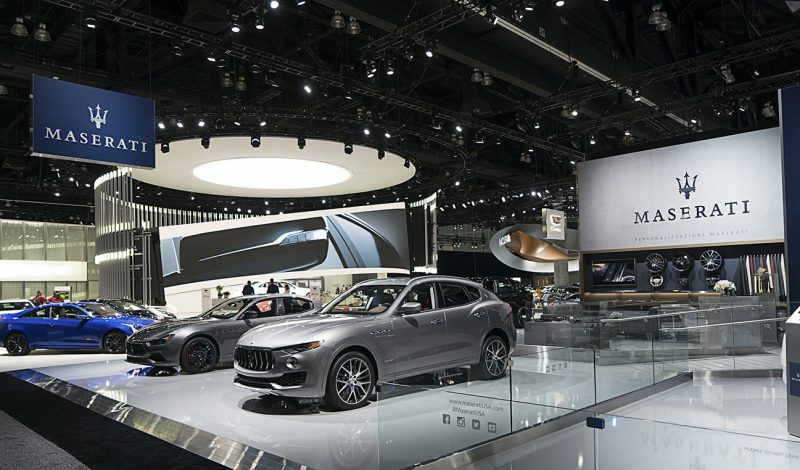 Share the post "Maserati debuts Nerissimo Package for Levante, Ghibli and Quattroporte at Los Angeles Auto Show"